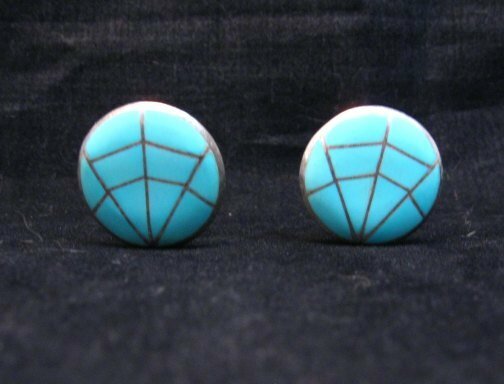 These Native American, Zuni or Navajo, handmade earrings are inlaid with sky-blue turquoise. 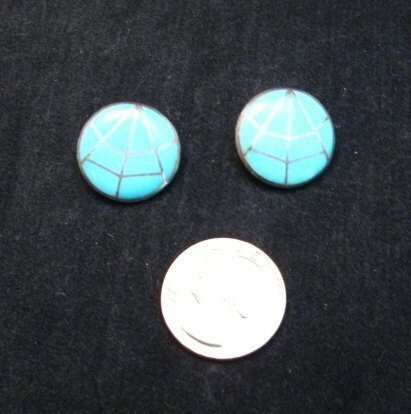 The earrings measure almost 7/8 inches across at the widest point. 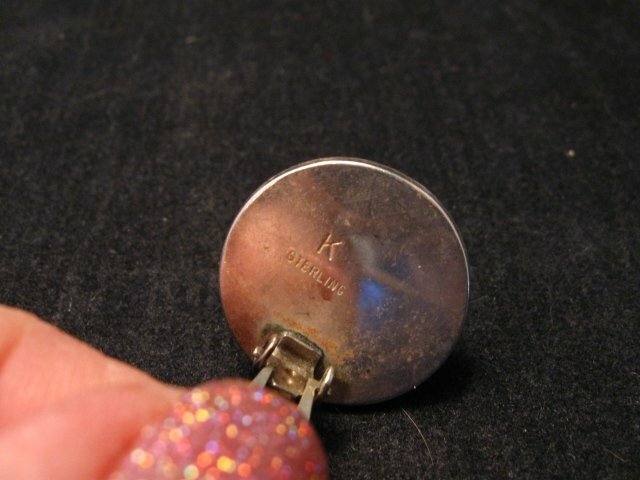 Hallmarked with a K and also marked Sterling. 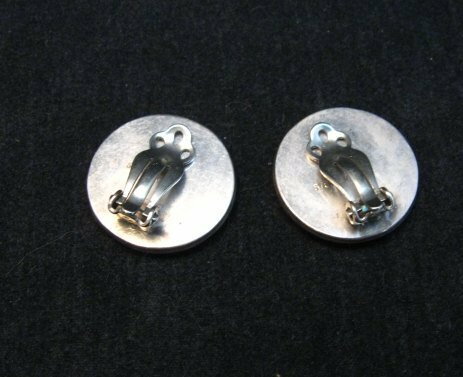 Clip-on style for non-pierced ears only. The clip mechanisms are fully functional. 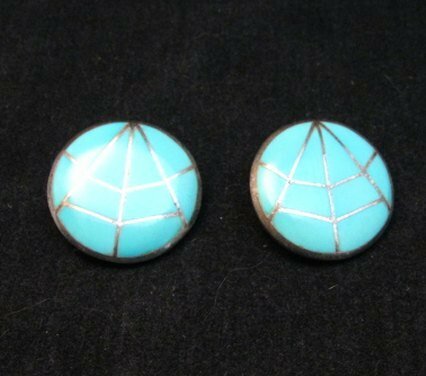 The earrings date from the 1980's.